Graybeard Outdoors > Hunting and Trapping Forums > Hunting Dogs > Couple new dog's I got photo's of last week end. Couple new dog's I got photo's of last week end. 8 mo old Pointer, won the puppy class last Saturday. Same owner has this nice little shorthaim. Really like this dog. 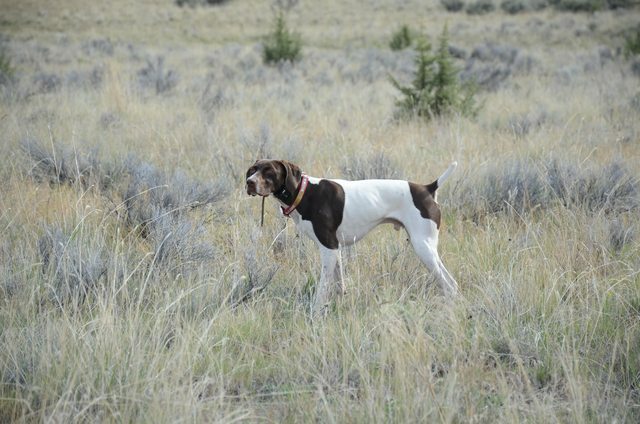 I just don't like the looks of pointers, but those german shorthairs are really pretty dogs. I guess I'm the opposite of bugeye on this - I love the looks of pointers! They remind me of a thoroughbred race horse, perfectly built for the task they are supposed to do. Watching a dog work is one of life's great pleasures. Nice pictures. I can't keep up with a pointer; I actually would need a lethargic old Clumber spaniel. Couple new photo's from yesterday. My Red Setter, Stormy. 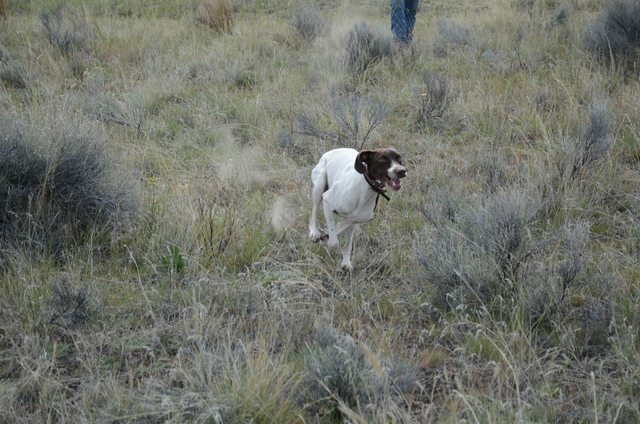 I absolutely love Shorthairs but Stormy is really pushing them! Watching two birds, one flushed after the other fly off. love a bird dog. any kind. I have Brittany spaniels. Now that red setter has a beautiful intelligent head on him. he's the exact opposite of show dogs who have to be reminded where their food bowl is. He's Amer Fld bred dog. They got them going in the earlf 1950's. Some Irish Setter lover's that hated the way the Irish was going. 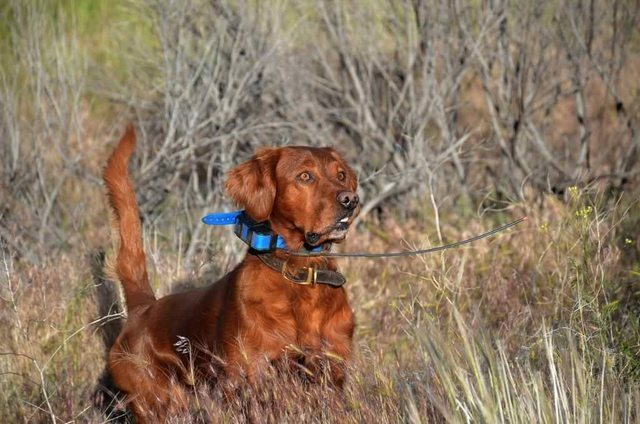 They found the best hunting female they could and crossed her to 1946 Nat Ch Mississippi Zev. the rest is history! Not being a bird hunter, I wasn't aware that folks had salvaged a fine bird dog. And your dog has that square head that means, brains. The show setters have long skinny heads, and just look kinda dull. Now I have killed a lot of quail and pheasant, but they were birds that my beagles put up while I was rabbit hunting. They ate mighty fine though. 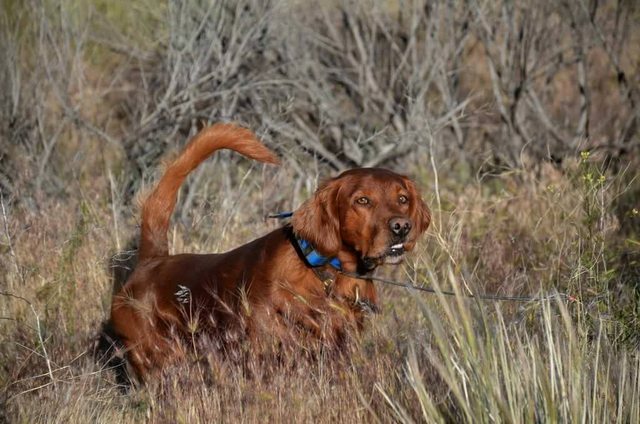 Had a red setter for a season when I was a kid. Hunted him with a friend's English setter. 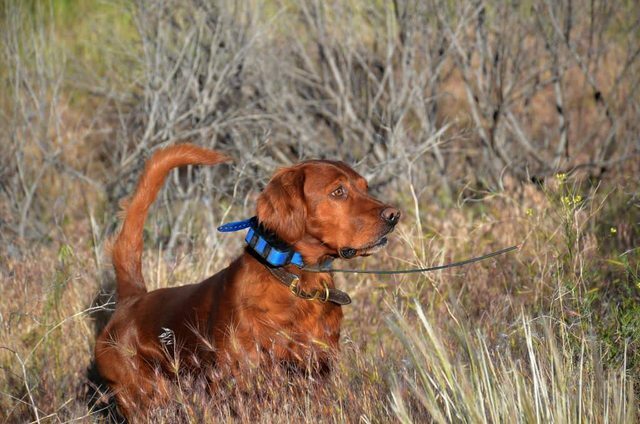 When the red dog pointed a quail in the woods, it was hard to find the dog. We would know it was pointing somewhere. Often we would flush his bird before we ever saw him on the point. A white dog had some benefits.